Roy W. Coleman, age 83 of Troy, passed away Friday, November 23, 2018 at Upper Valley Medical Center, Troy. He was born December 7, 1934 in Pliny, West Virginia to the late Wilburt and Elsie (Saxton) Coleman. 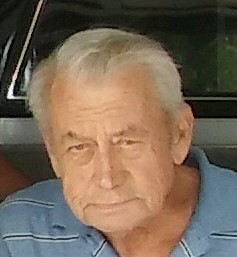 Roy is survived by his wife, Dorothy Plants Coleman; two sons and daughters-in-law, Steve (Robin) Coleman of Bradford; Joseph (Elaine) Coleman of Troy; one brother Paul Coleman of Grove City; one sister Sue Cutright of Charleston, West Virginia; three grandchildren Lucas (Jaime) Coleman, Hank Coleman and Taylor Coleman; and two great-grandchildren, Clyde Coleman and Calvin Coleman. He was preceded in death by his first wife, Doris McCall Coleman; one son, William Coleman; eight brothers, James Coleman, William Coleman, Odel Coleman, Warren Coleman, Dewey Coleman, Johnny Coleman, Ray Coleman, and Boyd Coleman; and one sister, “Sis” Kidd. Roy was a veteran of the U.S. Army having served in Germany. He was employed for 20 years at Hobart Corporation in Troy and over 20 years at General Motors in Dayton prior to his retirement. He was a member of the Troy Fish and Game Club and Amvets Post 88 and a former member of Troy Eagles. Roy enjoyed fishing and showing cars at area shows. Private services will be held Tuesday, November 27, 2018 with burial in Miami Memorial Park, Covington with military honors by the Veteran’s Memorial Honor Guard of Troy. Contributions may be made to Ohio Hospice of Troy, P.O. Box 502, Troy, OH 45373. Arrangements entrusted to Fisher-Cheney Funeral Home, Troy, OH. Online condolences may be left for the family at www.fishercheneyfuneralhome.com .